Lee Tal x Liya Liu, “Interlock objects,” 2016. From June 24 – 29 CUBE presented a new exhibition titled “Wavelength” at The Untitled Space. “Wavelength” was a group show of 18 different emerging artists and designers, all exploring the crossover of art and fashion. The concept of the show echoed the meaning of the title which refers to a frequency of communication and a resonance between different ways of thinking. Participants in the exhibition came from varying professional backgrounds and had their own means of artistic expression. By communicating through art – making each creator sent out their own frequency – a “wavelength” to be absorbed and recognized by like-minded people, encouraging a sort of creative synthesis. With this concept in mind CUBE aimed to create a space where many different forms of art, made by artists of different cultural backgrounds, could integrate and exist harmoniously. Lifan Deng x Carrie Sijia Wang, still from “Monuments of Planet X,” 2016. 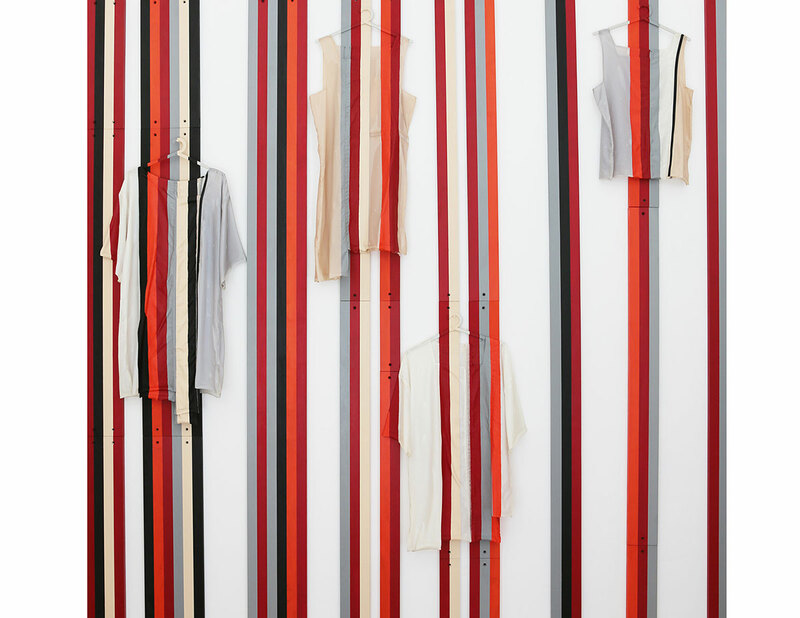 Considering the unifying themes of “Wavelength,” it made sense that the artists worked collaboratively to create unique works for the show. Pieces spanned a wide range of creative fields and included fashion, sculpture, painting, installation, photography, video, industrial design, and jewelry. Conceptual pop artist, Lee-Tal and fashion designer Liya Liu created Interlock Objects, a striking mixed media installation that combined Liu’s garments with Lee-Tal’s bold visual art, creating an optical illusion that camouflaged the clothing at first glance. Graphic designer Carrie Sijia Wang and product designer, Lifan Deng, presented another striking multi-media installation. They merged their respective skillsets to create the immersive video piece, Monuments of Planet X. Several of the artists worked directly with CUBE. Conceptual artist and industrial designer, Yizhou showed a collection of Body Memory jewelry in which she used plaster casts of actual body parts to make wearable objects that explored the hypothesis that the body itself is capable of storing memories as opposed to only the brain. 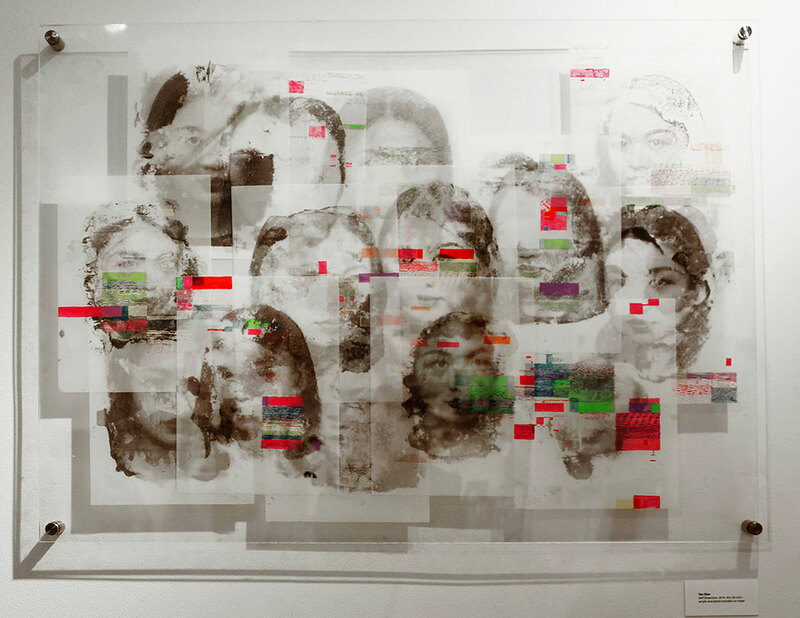 Multi-media artist, Tao Xian’s piece, Self Dissection, was a series of overlapping self-portraits in the style of fashion illustration but exhibited as a installation piece. The exhibit encouraged artist collaboration and the idea that crossing boundaries makes for more interesting and dynamic works. 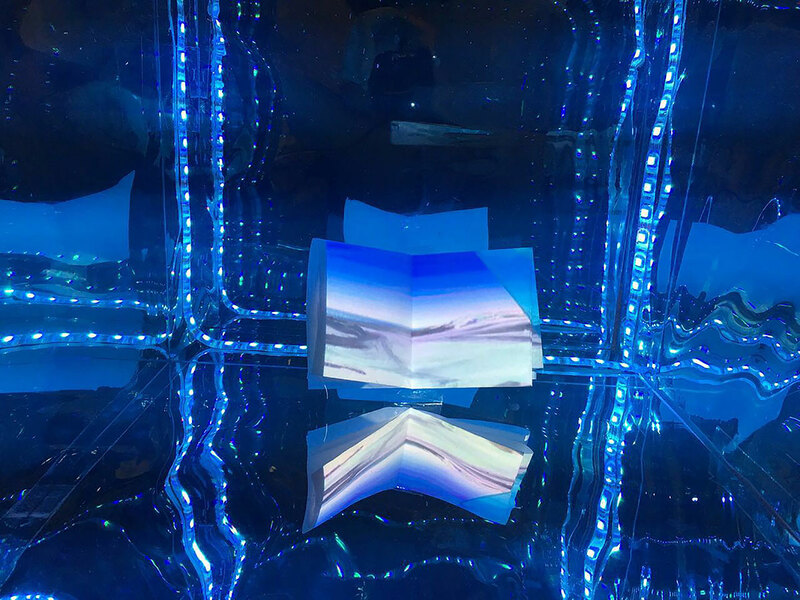 The full roster of exhibiting artists included: Liya Liu, Lee-Tal, Finchy Meng, Wayne Lee, Pauline Choi, Yueyin Hu, Caroline Hu, Danya Xie, Zhongsheng Gu, Ziqian Wang, Jieting Chen, Tao Xian, Carrie Sijia Wang, Lifan Deng, Gezi Cao, Yi Zhou, Jiayin Yu, and Beier Zhong.